With a robust 40-year history and a new campus opened in 2010, Trent University Durham provides an abundance of opportunities for student engagement. Located in the heart of Durham Region, Trent’s Durham campus offers a learning experience that is the perfect blend of urban life and close-knit campus community. Nearby, you can enjoy a vibrant greenbelt, parks and beaches – all minutes away from state-of-the-art sports facilities, premier shopping centres, and a thriving arts and entertainment scene. Located in the heart of Durham Region, Trent University Durham offers all of the conveniences of dynamic city life – state-of-the-art sports facilities, premier shopping centres, and a thriving arts and entertainment scene – together with a vibrant greenbelt, natural parks, endless kilometres of walking trails, and beautiful beaches, all just minutes away. When considering which university to choose, we know location and proximity to work or home are important. Trent University Durham is conveniently located just minutes from the 401 (Stevenson Exit), accessible by Go Transit and municipal transit. Combine this with the Rapid Transit “Pulse” Bus service, which connects students from Scarborough all the way to downtown Oshawa, and you have quick and easy access to everything there is to offer in the Durham Region and the eastern GTA. 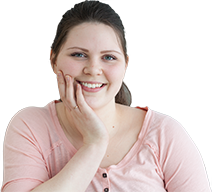 "My experience and education that I received at Trent and Durham has enabled me and prepared me to get into one of the best law schools in Canada."